All prices based on two persons travelling together. Kindly inquire with us for single traveller pricing. ​﻿​What makes India special is the co-existence of different religious beliefs - each unique in its own way. Visit the places of worship and learn a little more about Hinduism, Christianity, and Islam. 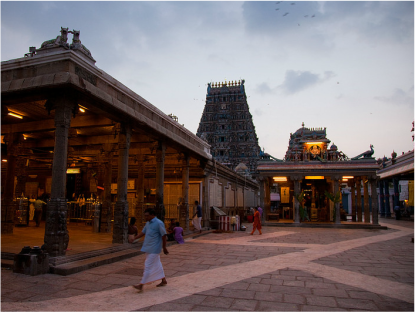 The town of Mylapore predates British rule by several centuries. 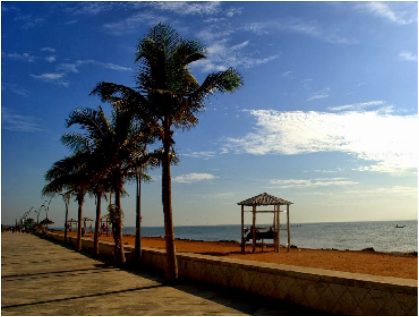 As per available historical and archaeological evidence, it could well be the oldest part of Chennai, with written records of early settlements going back to the first century BC. We studiously avoid the noisy spectacle of the skyline dominating Kapaleeswarar Temple, and instead take you into a small shrine that embodies the daily ritual life of a Hindu and his gods. Here you will be able to have an intimate conversation with the Hindu way of life. Chennai’s links with Christianity go all the way back to AD 52 and the advent of the religion in India with St Thomas, the Apostle, who made this area his home. We visit shrines inspired by him, and basilicas built over his remains. Lastly, we visit a beautiful 19th century mosque, where you understand Tamil Nadu’s ancient Islamic roots, its history, and current traditions. The lure of calico and black pepper...take a trip back to the beginning of the 17th century as the first fleets of the British East India Company took the monsoon winds to the Coromandel Coast and set up their first fortified establishment called Fort St George. From here began the business of empire-making - from trading to military expansion making Britain the largest and most powerful nation in the world. refreshments, entrances, tolls, permits and parking, and lunch at a British Raj- era garden house, gratuities and taxes. ​This is one of Chennai’s best kept secrets, and we intend to keep it quiet too. On the western edge of Chennai, lies Koyambedu, a triad of warehouse complexes that house the wholesale flower, fruit and vegetable Markets. This market receives an average of 30,000 visitors per day, usually between 03h00-08h00. It’s breathtaking to see these markets and it’s a real adventure. The visit has to be at 04h00 in the morning, after the first wave of buyers have come and gone (there is a reason for this!) and then we explore these three zones. We complete the visit with a delicious early morning breakfast at a local South Indian restaurant. Fantastic photo opportunities, great learning about India's fresh produce, and a lot of fun! 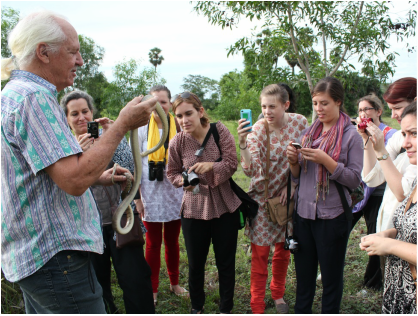 Visit legendary herpetologist and film-maker Romulus Whittaker at his farm in Karadi Malai (Bear Mountain) located approx 75 miles south-west of Chennai and learn about the flora and fauna of the Eastern Ghats, one of the world's oldest hill ranges. Rom and his wife, Janaki, welcome visitors to explore the forests and hills of their home. Their campus and the surrounding scrub forest and hills are home to an amazing variety of birds, insects, reptiles and mammals. Arrive early in the morning and go on an exciting snake catch and release experience, led by experienced members of the Irula community (poachers-turned-protectors). Then meet Rom and Janaki over breakfast. After breakfast, visit the Irulas Tribal Womens Welfare Society and learn first hand about the indigneous medical knowledge of the community. Established by the French East India Company in the 18th century, the town has retained a lot of the French culture, while imbibing a lot of the Tamil way of life. This has led to a burst of contemporary cultural creativity which rides comfortably with its enduring French architecture, wide boulevards (with French names) and its beautiful seafront promenade. The French relinquished their control of ‘Pondy’ some 50 years ago, but reminders of the colonial days remain; the tricoleur flutters over the grand French consulate, there’s a hôtel de ville (town hall), and local police wear red kepis (caps) and belts. Don’t expect a sub-continental Paris though – this is still India, with all the auto rickshaws, choked streets, bazaars and Hindu temples of any city. This is a town that invites you to slow down, explore its little tucked away lanes, eat and shop at its quaint cafes and boutiques, and tip your imaginary hat at a former retired French Foreign Legion soldier as you pass him by. ​Mahabalipuram (also called Mamallapuram) was a 7th century port city of the South Indian dynasty of the Pallavas around 60 km south from the city of Chennai in Tamil Nadu. It is believed to have been named after the Pallava king Mamalla. It has various historic monuments built largely between the 7th and the 9th century, and has been classified as a UNESCO World Heritage Site. The city has been a centre for stone carving for hundreds of years, a legacy displayed in superb temples, bas reliefs and mandapas (narratives carved into the face of shallow rock overhangs). 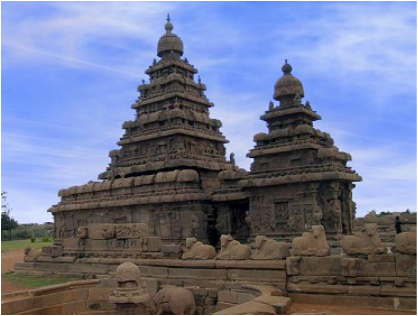 The most famous example in Mahabalipuram is the Shore Temple, but the intriguing unfinished temples provide an insight into the sculptor’s art. With the rhythmic sounds of stone carvers chipping away at granite, interesting streets lined with shops and cafes (serving delicious seafood) and an informal backpacker atmosphere, Mahabalipuram makes for an enjoyable weekend getaway from Chennai. 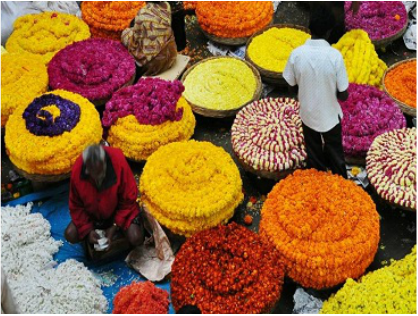 Chennai is a popular destination for shopping in art, craft, textiles, jewelry, artisanal home-decor, and antiques. For many Indian families, this is the city to visit to shop for wedding trousseaus. The traditional Brahmin precinct of Mylapore is famous for its temple jewelry. 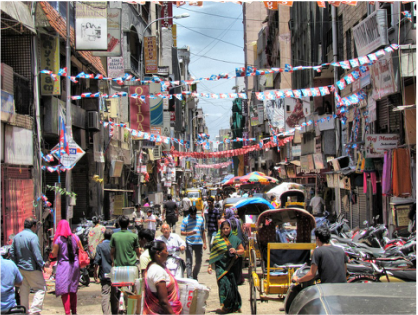 West of here is T.Nagar, home to all the major silk shops, and some truly mind-boggling jewelry stores. North of here is Khader Nawaz Khan Road with stylish boutiques and cafes. There are individual eclectic stores (many of which include cafes) scattered across the city. And some excellent art galleries too. There are also some large air-conditioned malls famous for both western fashion brands and ethnic Indian labels as well. On this half-day tour, your personal shopper will help you navigate your way, based on a prior brief of your interests, and help you in communication, selection and negotiations! This curated half-day art and craft trail takes you into South Chennai visiting a string of special centres for art and craft. The morning begins with a visit to the Craft Centre at Kalakshetra. In the large, high ceiling hall of the handloom Weaving Centre, thirty looms weave saris in silk and cotton, along with other natural textiles. Weavers spin and dye the thread for the saris woven on their looms. Printers and dyers work in the Kalamkari Unit, which was instrumental in helping to revive the art of Kalamkari which was almost lost through neglect in the early part of the twentieth century. Further south is the Book Building of Tara Publishing which has elevated book publishing to an art form. Visit their office and store, followed by an insider’s visit to their fair trade workshop. 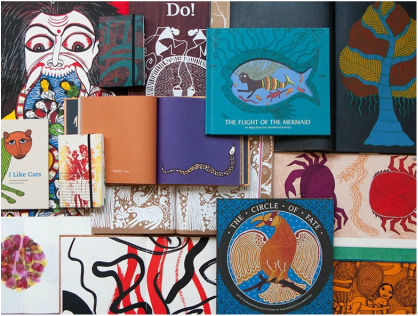 Beautiful handmade books; wonderful stuff for kids and adults. Then there is Cholamandal - an artists and sculptors commune which led to the founding of the Madras Art Movement in the 1960s. There is a superb art museum and gallery.